It is with deep regret that we publish this report.Â We do not take this responsibility lightly, as the consequences of the following observations are of such great import and have such far-reaching ramifications for the entire planet.Â Truly, the fate of the oceans of the world hangs in the balance, as does the future of humankind. The Gulf of Mexico (GOM) does not exist in isolation and is, in fact, connected to the Seven Seas.Â Hence, we publish these findings in order that the world community will come together to further contemplate this dire and demanding predicament.Â We also do so with the hope that an appropriate global response will be formulated, and acted upon, for the sake of future generations.Â It is the most basic responsibility for every civilization to leave their world in a better condition than that which they inherited from their forbears. 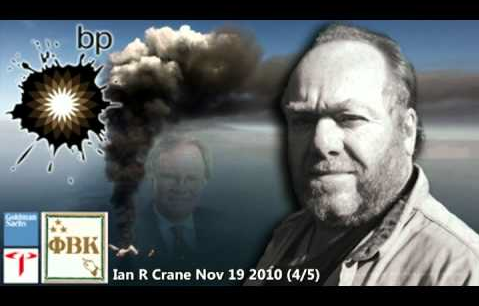 Just who is Ian R. Crane and why does he, together with the Gulf Coast Barefoot Doctors, persist in destroying the Gulf Oil Spill citizensâ movement?Â Why does a Britisher suddenly appear on the scene of the greatest environmental catastrophe in US history hawking his wares and conspiracies? 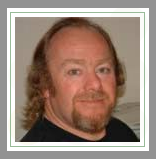 After many months of investigation of this British citizen â Ian R. Crane â we can report the following facts about his business, his mission and his ‘journalistic’ practice where it concerns the BP oil spill in the Gulf of Mexico (GOM). It is very important to note that this foreign âjournalistâ lives in the United Kingdom not too far from London, admits to being an ex-Shlumberger oilman, and makes his money from selling internet conspiracy theory (which may be true or false) about the Gulf oil spill.Â The point is that this is how he earns his income, by selling videos that purport to explain away all things related to the Gulf of Mexico Oil Spill. The Gulf Oil Spill Remediation Conference, an 11 month-old International Citizensâ Initiative, is filing criminal charges in Tallahassee, FL against Ian Crane, a former Schlumberger oil executive.Â The GOSRC has forwarded the original email to authorities in which Crane admitted to taping the former National Coordinator without his knowledge or consent.Â Craneâs subsequent suspicious actions and dubious correspondence concerning the Gulf Oil Spill have caused many throughout the GOM citizenâs movement to question his motives and agenda, and therefore compel us to file these charges. For all of us who live on and near the Gulf Coast of Mexico, we exist in a state that alternates between exasperation and incredulity, between anger and grief, between shock and awe at what this oil spill has come to represent.Â Â Where do we start?Â Â How do we begin to express our collective disillusionment with so many instances of betrayal and letdown?Â Â As well as the relentless falling short of what used to be considered reasonable expectations of government and corporate social responsibility.